Princess Smartypants does not want to get married. She enjoys being a Ms. But being a rich and pretty princess means that all the princes want her to be their Mrs. 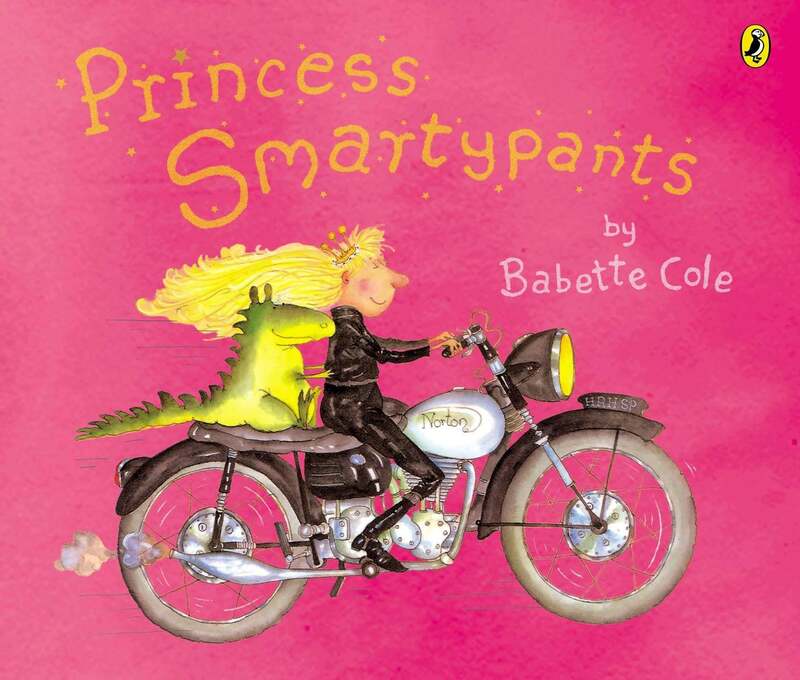 Fans of Babette Cole's books will not be surprised that their creator has had a somewhat unconventional life and career. Yes, she did train at Canterbury College of Art but "spent every minute trying to get out." 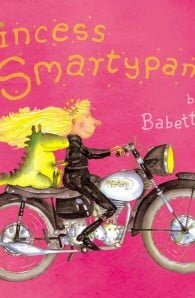 By her third year, Babette was "producing my own little books which everyone liked except my tutors, who thought I should have been doing my Letraset, sitting up properly and not wearing my wellingtons into art school." Babette was actually thrown out of the college twice but then invited back! Babette graduated with a BA Hons (First Class) and began talking to publishers. "Students don't know what publishers want and I think they should find out," she says. Today, she remains closely involved throughout the production process, even if that means flying out to the Far East to check the pages as they come off the printing press. Babette is no stranger to travel. She lived for a year in the Okavango Swamps in Botswana, and now makes regular trips to her second home in Tortola in the British Virgin Islands.Her first job was at BBC TV, working with Peter Firmin and Oliver Postgate, creating storyboards for classic children's programmes such as Watch With Mother, Ivor the Engine and Bagpuss. Home is a farm in Lincolnshire, with a menagerie of horses and dogs. Her interests include breeding and showing Show Hunters, riding side-saddle, team chaseing (side-saddle), show-jumping, terrier racing, anthropology, sailing, showing her Deer Hounds and partying on her special island - Tortola in the British Virgin Islands. Babette draws inspiration from her own animals, from Tenniel - whose Alice drawings "contributed to my love of the grotesque", from Edward Lear "for his scratchy lines" and from Quentin Blake - "the creme de la creme". Babette loves reading, whenever she can. Her favourite author is Tom Sharpe.